Tomorrow, after several cold, OWL-less months, Overwatch League season two kicks off. The first season had its ups and downs, fittingly ending on a simultaneously high and low note with a blockbuster grand finals match in New York that ended up being a one-sided blowout. Since then, a lot has changed, leading to questions about what this season will look like and who’ll come out on top. Here’s what to watch for as we head into season two. The most obvious change to Overwatch League’s structure this season is the addition of eight new teams, representing places like Hangzhou, China, Guangzhou, China, Chengdu, China, and even some places that aren’t China, bringing the total number up to 20. Current teams like Shanghai Dragons and Florida Mayhem have overhauled their rosters to the point that they’re basically new teams, too. How will things shake out once the fur (and mecha parts and Scream Halloween costume scraps) start flying? And how will old teams, like surprise season winners the London Spitfire, perennial underdogs the Philadelphia Fusion, and dominant-until-they-weren’t mega-team New York Excelsior—who’ve made tweaks to their coaching staffs and rosters, but haven’t overhauled things—fit into this suddenly more complex puzzle? And, most importantly, how will they react when they all get beaten by my precious Houston Outlaws? While diehard fans have spent the off-season trying to figure these things out using such time-tested scientific techniques as “math” and “interminable internet arguments,” the jury’s out until teams take the stage. As we learned last season, which began with many believing Seoul Dynasty and Dallas Fuel (lol) were the two top teams, a grueling regular season brings with it a plethora of intangibles. Performance in the moment and performance over the long haul are very different things, and communication, chemistry, and the ability to bounce back from adversity are musts. There’s also the question of how new players will fit into the Overwatch League’s pre-existing culture, which has produced enough ill-advised internet tantrums, racist gestures, and account-boosting schemes to warrant an official discipline tracker. You might not be surprised to learn that, after one of the losing-est seasons in sports history, Shanghai Dragons decided to change things up a little. During the off-season, they gutted their old roster, replacing all except three players. Fan favorite Se-yeon “Geguri” Kim is still part of the team, and now playing alongside fellow Koreans, meaning the language barriers that plagued Shanghai during season one should be minimized. Still, the blame for a 0-40 season doesn’t just fall on the backs of players. Defeat that crushing at this level is almost always the product of institutional issues, and the brief glimpses behind Shanghai Dragons’ curtain during season one weren’t pretty. Practice schedules even more grueling than the rest of the league were the order of the day, but they led to only marginal improvements. Shanghai lost and gained multiple coaches last season, to little avail. Is the infrastructure surrounding the team better this time around? The GOATS meta: it’s bad. That’s what a large contingent of Overwatch players will tell you about the game’s current dominant composition, which is a giant, rolling meatball of tanks and healers. It takes more nuance to play than you might think, but it’s still an attrition-based play style that’s rarely as aesthetically pleasing as high-flying DPS antics. This has some pros and fans worried that matches won’t be all that fun to watch. On the upside, the only thing consistent about video game metas is change, and active esports scenes tend to accelerate the process. But this particular calcified meta, combined with a slow bleed of enthusiasm for Overwatch due to recent updates that have failed to freshen up the nearly three-year-old game, have some fearing that interest in Overwatch is flagging. Will a new OWL season revive it, or will lapsed players no longer see any reason to give a hoot? While the Overwatch League has yet to achieve its goal of sending teams to their respective “home” towns—all 20 teams live in Los Angeles, and they only play in the Blizzard Arena in Burbank, California—it is taking the first steps in that direction this season. 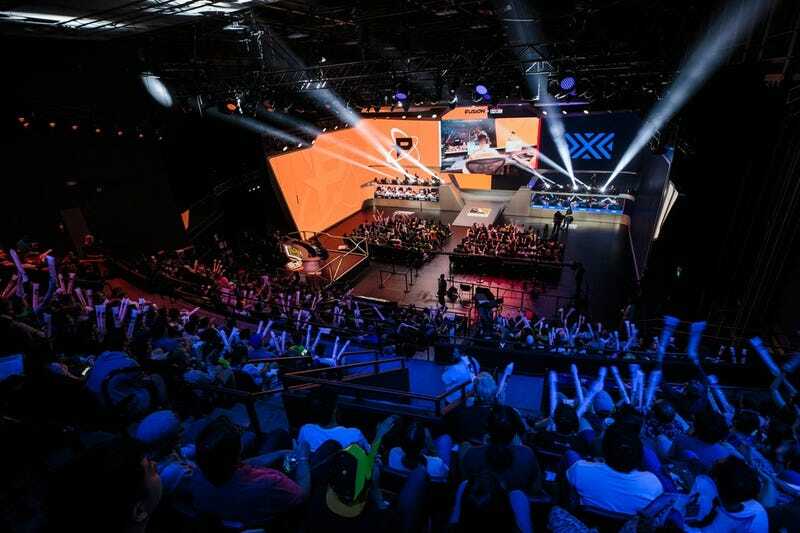 It’s more of an experiment than anything at this point, with only three teams—Dallas Fuel, Atlanta Reign, and Los Angeles Valiant—hosting a smattering of road games, while all other season-two matches will take place at the Blizzard Arena. What will production be like during those games? Can the teams’ arenas match the standard Blizzard has set with its own? What will turnouts for matches be like? Will players feel extra pressure competing in front of hometown crowds, or will that raise their spirits? This also raises longer-term questions: Last season, players suffered from burnout and extreme fatigue, to the point that some had to go on extended hiatuses from the game and others retired after the season ended. This season, teams only have to play one game per week instead of two, and teams swear up and down that they’re relaxing their practice schedules, but what will all of that look like with the addition of travel atop the teetering luggage heap? And if teams really do relocate to their home cities after this season, what happens if, say, a player gets traded to a team halfway across the world, then traded again a season or two later? What sorts of protections do players have against callous treatment, if any? Will these sorts of concerns finally get them to unionize? Activision and Blizzard just announced a mammoth round of layoffs after a record year that apparently didn’t set enough records for their shareholders’ tastes, and alongside publishing and QA, Blizzard’s esports division got hit especially hard. I’ve spoken to sources working on OWL who say they’re shorter-staffed this year than last year, which means some people will probably be spread thin. OWL, on the other hand, has become bigger and more demanding than ever. Will something give, or will the machine just keep chugging along?